Many yoga practice look like this - you begin yoga and feel amazing. You notice that you stand taller, your body feels more open, you are happier, and a new awareness or perspective enters into your life. Fast forward a month, or even a year or two, and the big differences you noticed at the beginning are starting to dwindle. You aren't becoming dramatically more flexible or open anymore, you're not losing any weight, and even your yoga classes start to seem repetitive and boring. Where is that huge challenge, change and joy you experienced in the beginning? As a teacher, I love when students ask questions, whether it be about the postures, an injury they have, or yoga philosophy. Some examples of questions I'm asked are, "My lower back hurts after backbends; what am I doing wrong?" "Can you show me how to kick up into a handstand? I can't seem to get it." "Can you show me how to safely practice shoulderstand?" Asking questions gives you something to work on in your practice, and gives you the change to learn something new. Believe it or not, we feel happy when we learn new things. What do you want to work on or focus on today? Each day is different! Are you having trouble focusing in class? Try using a drishti, or focused gaze, throughout class to help steady the mind. Do you muscle through your practice and get stressed? Work on breathing and going with the flow of your body. 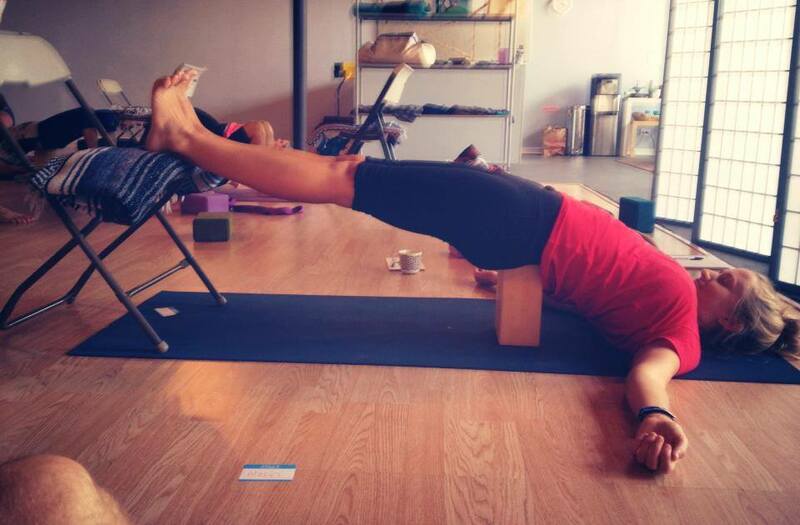 For some, it's hard to stay at the same yoga studio over time. Students may get bored or feel unchallenged if the teacher isn't wowing them with amazing new poses or pranayama every time. Remember that much of our life is routine, and you may begin to enjoy the consistency in your practice. You'll never develop a relationship with your teachers if they don't see your progress and aren't there to understand your needs or questions. Sometimes consistency can be very challenging. Embrace the challenge and allow the constant practice to help you grow and change. Unfortunately, for the yoga student who stops practicing, it's usually after two years (likely for some of the reasons I mentioned above). Since the time spent on our mat is so little relative to a whole day or week, it is important to practice whatever you've learned on your mat in your daily life. Relax the jaw, tongue, face, and smile. Also, consider adding meditation to your daily routine. Are you ready to break bad habits? Let something or someone go? Yoga has a deep, rich history and has a wealth of valuable teachings that can fill a lifetime. Explore the Yamas, Niyamas, Ayurveda, Pranayama and other areas that will enrich your life! Renew your practice - keep it fresh! Enjoy yogis! I'd never tried this one before. I loved it! There's always something new to learn.